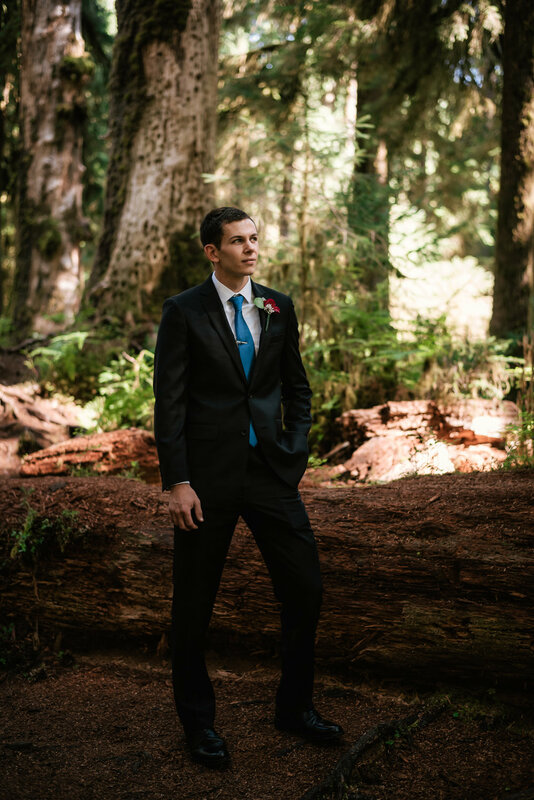 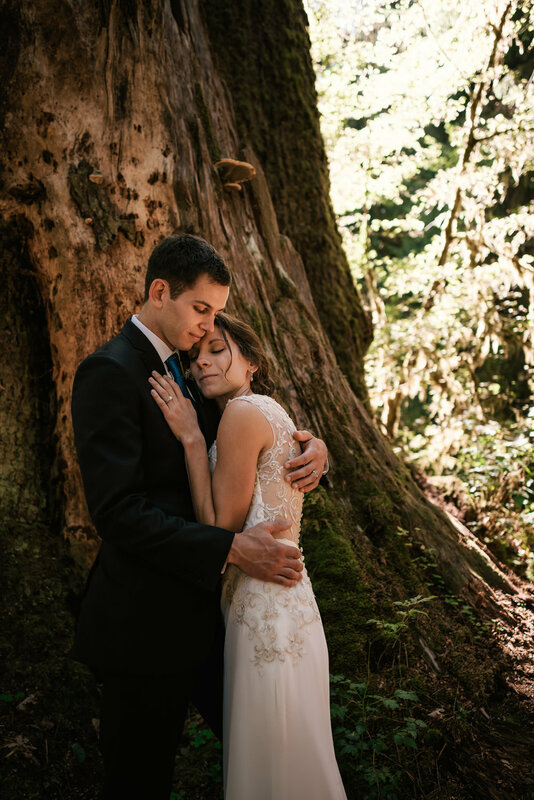 I had been wanting to explore Olympic National Park for years, so when Alex and Evan inquired if I’d be interested in photographing their elopement in the Hoh Rainforest, I couldn’t even begin to explain how excited I was. 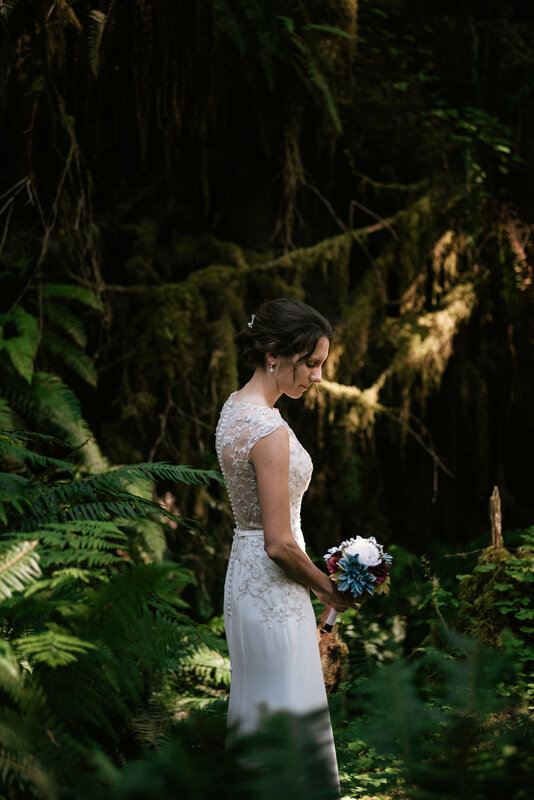 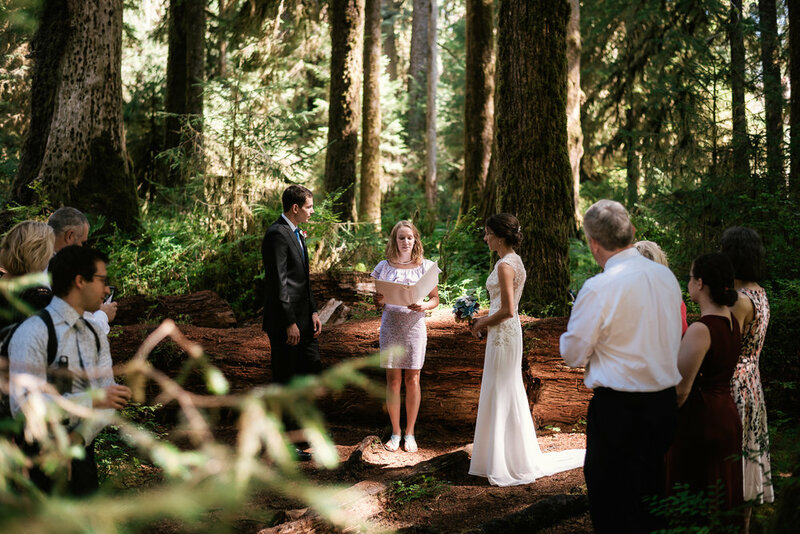 Their intimate ceremony with their closest family and friends in a small clearing in the Hall of Mosses among towering trees and hanging mosses was nothing short of magical. 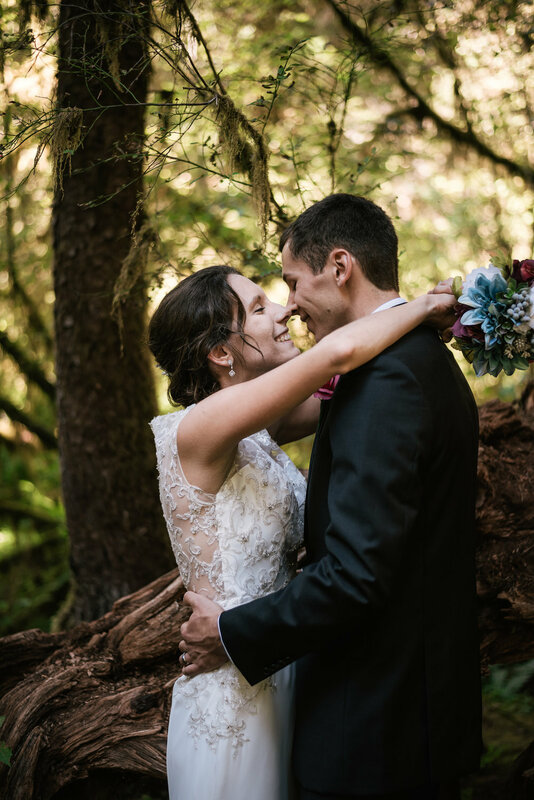 Afterwards we hiked the trails and created a series of beautiful portraits that truly capture these two’s love for each other. 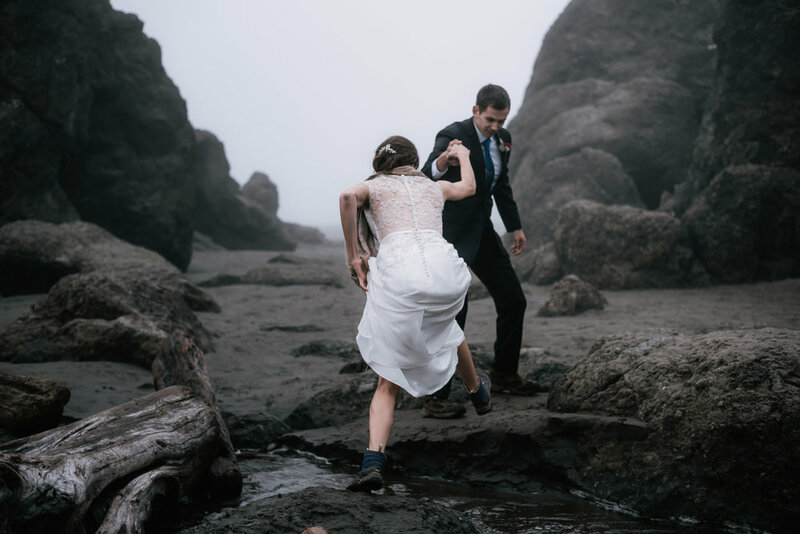 But as if that wasn’t incredible enough, we then hopped in the car and made our way to Ruby Beach for another adventure. 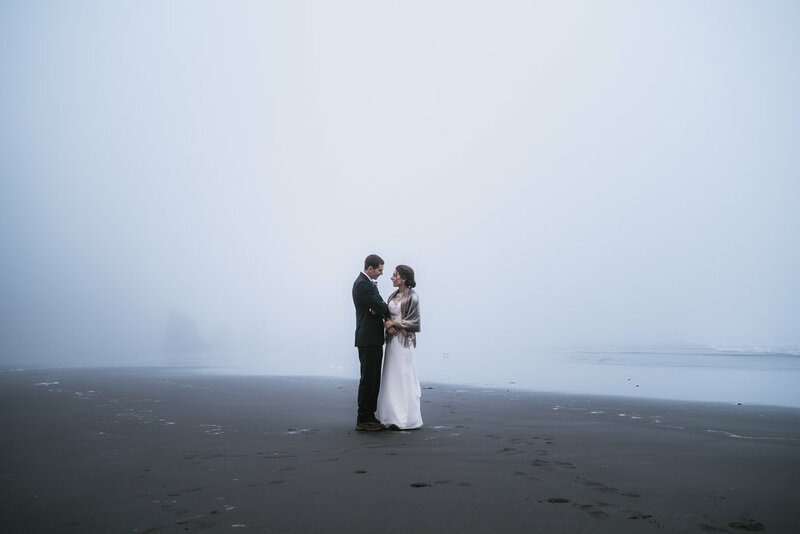 While we had hoped to capture the golden light of sunset at Ruby Beach, Mother Nature had other plans for us. 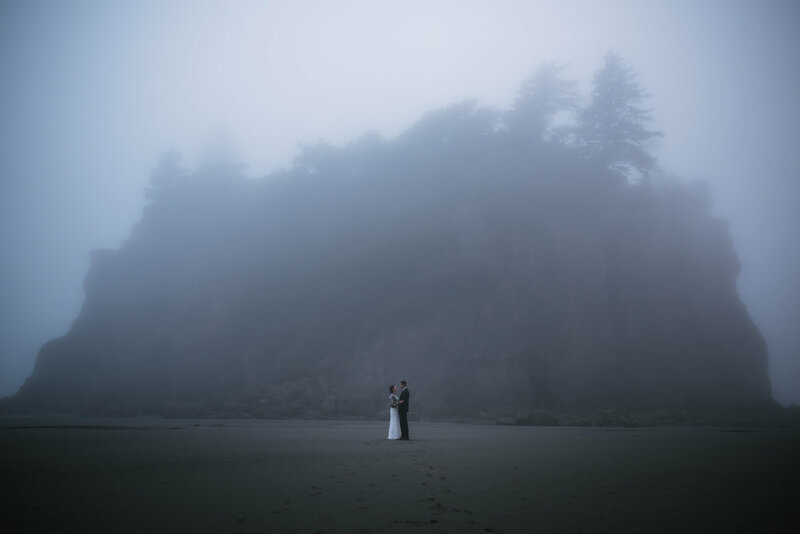 Just thirty minutes from their sunny ceremony site we found ourselves on the washington coastline in a thick fog. 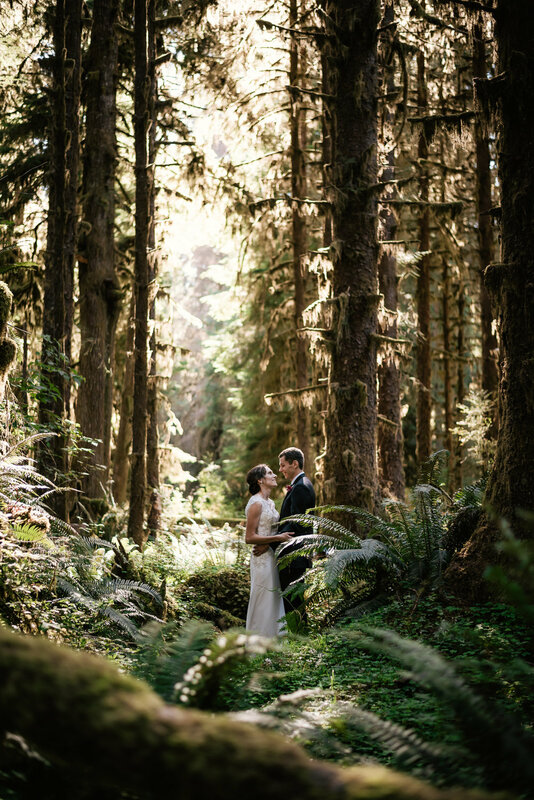 It just goes to show you how fast the weather can change in Washington’s Olympic peninsula. 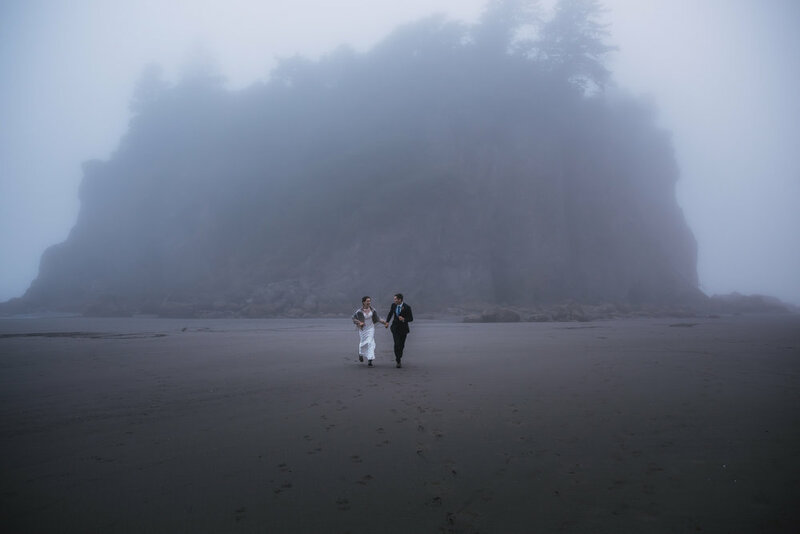 But as you will see, we didn’t let it stop us from having a blast and creating memories and photographs that we will all never forget. 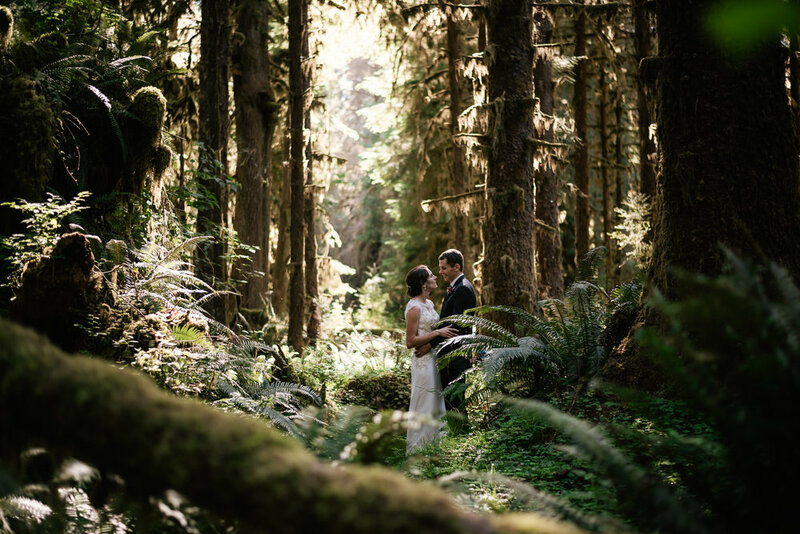 Olympic National Park is truly an elopement destination like no other and I can’t wait to go back. 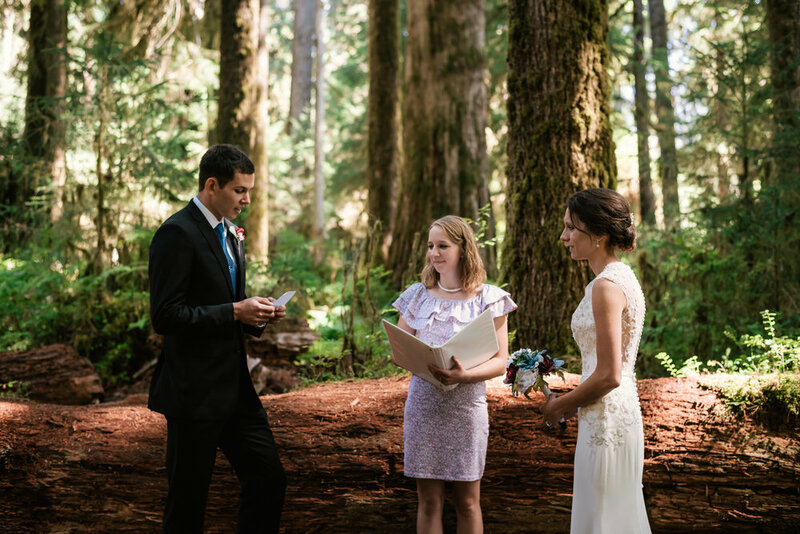 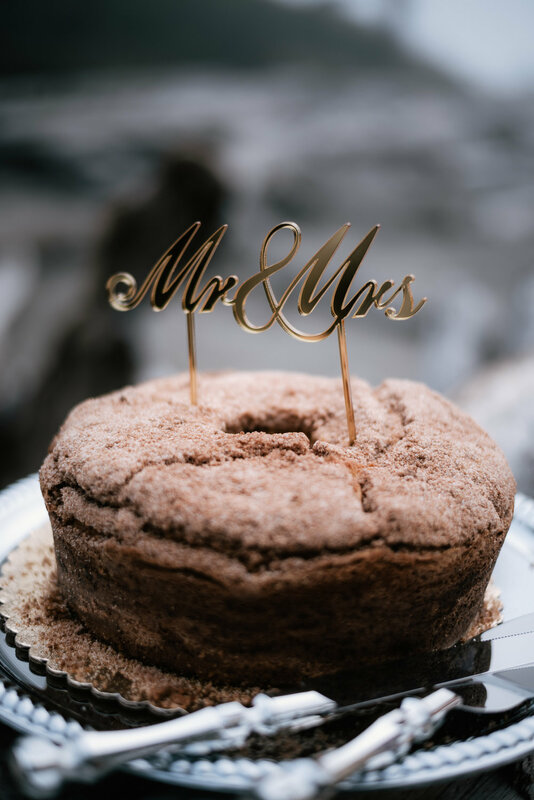 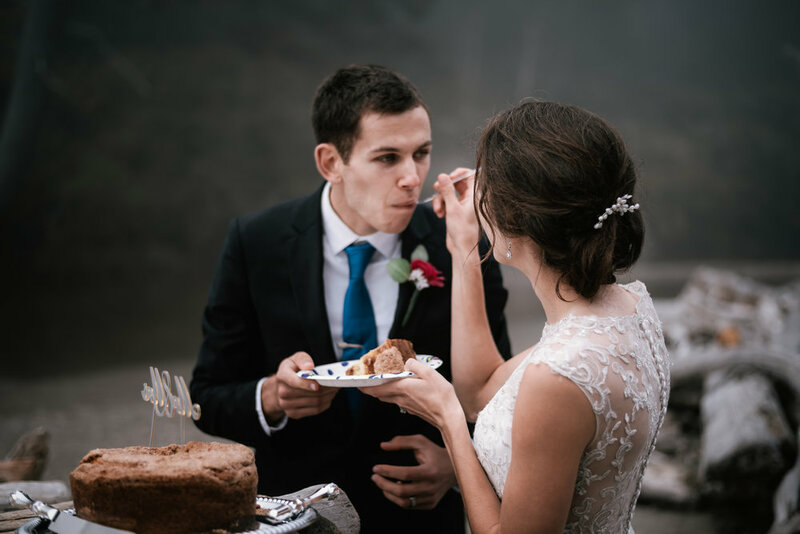 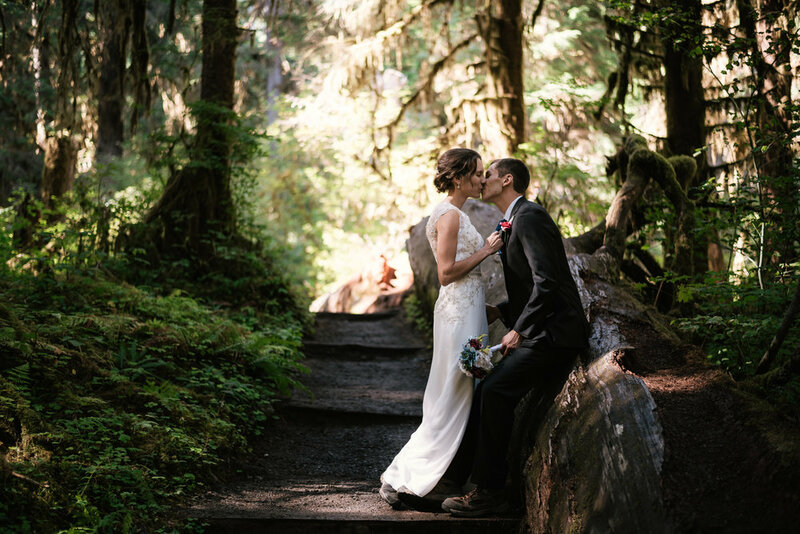 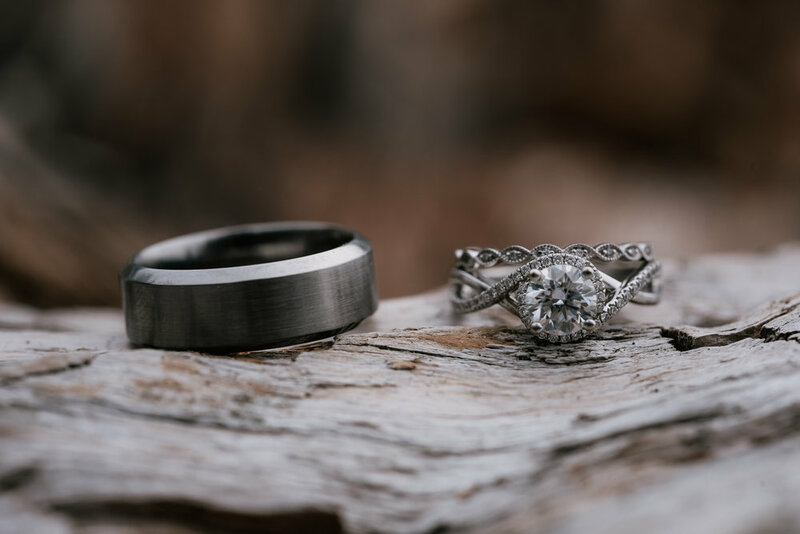 Book your own Olympic National Park Elopement!